Most people would think that a pool in a backyard full of plants would be a mess. Luckily, there are some helpful tricks to having a beautiful backyard without the hassle of having to maintain it all the time. Especially here in Arizona where many backyards have pools. A few weeks ago we published a blog with some tips on how to have plants around a pool without the debris. One of the best ways to have plants around your pool, but without all that debris is to use potted plants. Succulent plants and large leaf plants are the best option when it comes to plants around a pool and they require even less clean up when they are in a pot. Not only do most of these plants offer a tropical look to your landscape, they have very little debris. 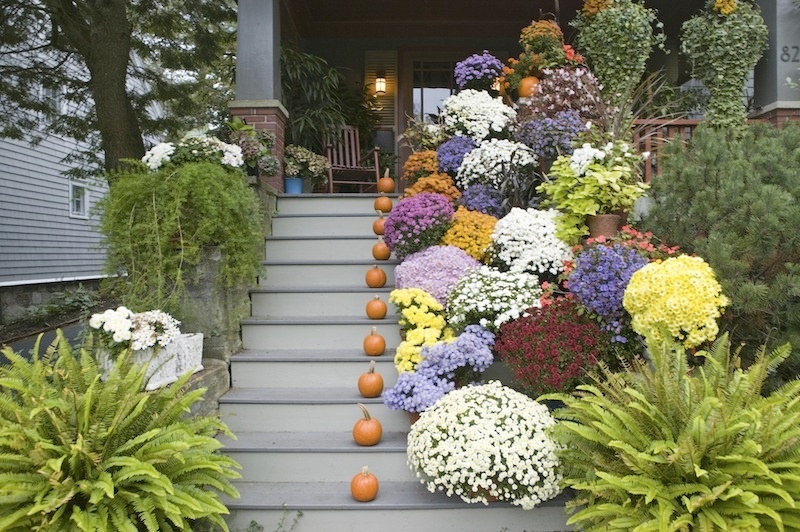 Potted plants can add a unique look to your yard when you get creative with the pots and décor. Most of the dirt and debris will be collected in the pot, so you won’t have to worry about it getting into your pool. Plus, potted plants are an effortless way to add some beauty to the border of your pool. It is always fun to go with colorful plants because that will make the blue water stand out even more. When you use a pot, you are able to mix together a variety of colored plants that are a great addition to any poolside. Potted plants are an easy way to break-up boring blank spots that surround your sidewalks or pool. Taller plants are always a great option for pots because they add height to your backyard landscape, which helps with keeping your yard private and also adds shade to your pool area. From the ground level when you are in your pool, these tall plants look really neat and add some extra flare compared to plants that are in the ground. You can never go wrong with dwarf palm trees or other palms like the fan palm, especially in Arizona. These plants can survive the heat, require little water and don’t leave much debris around. Most potted plants can be easily maintained and do not require a lot of clean up, but if you are ever stuck or don’t feel like maintaining your landscape yourself, make sure to call the professionals at BV Lawn Care! Helpful Tip: Potted plants around the pool are the perfect place to have those fun trailing plants like the desert broom! Citrus trees thrive in Arizona’s climate, but caring for them can be tricky if you don’t know what you are doing. 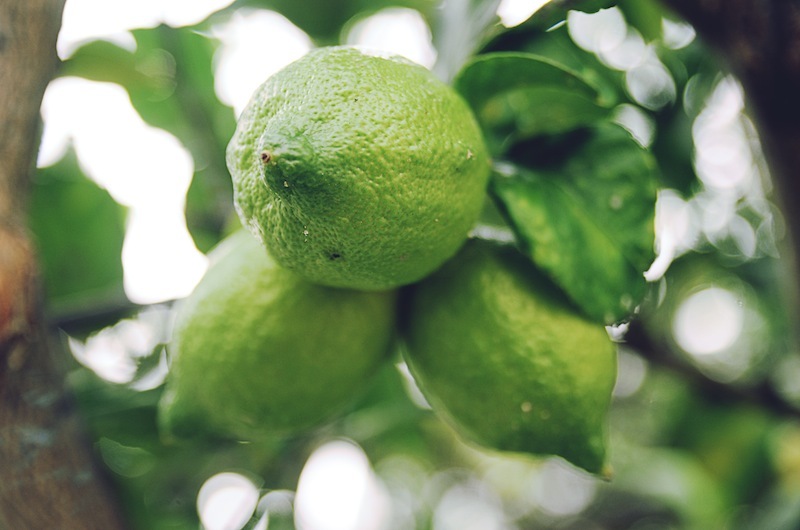 These citrus trees tips will come in handy when you are maintaining your trees in Arizona. Did you know that trimming your fruit trees actually isn’t a good idea? Most people trim their trees just to make them look good, but citrus trees are considered bushes and that means that their branches grow low to the ground naturally. By trimming Arizona citrus trees, you are helping lead your trees to a shorter life span. You always want to keep in mind the health of your tree because this will help lead to better fruit production. There are times of the year where you may need to trim your trees, but make sure to only trim off a little amount. Why is this? Not trimming your tree will leave extra leaves and branches that will protect the trunk from sun exposure. To make it easier to water and fertilize, you can trim the bottom of your tree a little, but make sure to keep a few thick branches that touch the ground. It also might be necessary to trim some branches that might be growing into other branches or branches that might be growing erratic. If you are going to shape the foliage of your citrus tree, make sure you are using the right techniques and keeping the health of your tree in mind. You never want to trim so much off that you are exposing branches to the sun. So when is the best time to trim Arizona citrus trees? It is best to trim your citrus trees in the spring because then they will be ready for the harsh temperatures Arizona sees in the summer. Even though citrus trees do very well in Arizona, they can get sun damage easily. That is why you want to make sure your citrus tree isn’t trimmed too much so that it will still provide the trunk with shade. It is also acceptable to do a little bit of trimming in the fall, but make sure to avoid it in the winter just in case we see cold temperatures that may lead to frost. When it comes to maintaining citrus trees in Arizona, you just have to remember that the trees are actually considered bushes and that the health of the tree is more important than the look, so keep that trimming to a minimal! Helpful Tip: When it comes to water sprouts, you will want to remove these. Not only will it make your citrus tree look nicer, but also it is good to remove these because they will actually not be able to produce fruit that is edible. You never want these water sprouts to take over your Arizona citrus tree! Maintaining a beautiful lawn requires quite a bit of work and if you don’t want to hire professionals to do it, then you want to make sure you are using the right lawn care equipment. You also want to make sure you are using the tools the right way. To start, you want to own some basic lawn care equipment. Tools like a garden cart or wheelbarrow will help easily haul everything for you and comes in handy when doing all types of yard work. You also want a garden rake. The steal headed type is best to prepare small areas of soil for planting. If you need to remove turf, a grape hoe has a wide and heavy blade that does the work for you efficiently. To trim flowers, carefully use grass shears and to help clean up any debris after, a landscape rake will do the job. A rake with a 36-inch aluminum head on an aluminum or wood shaft will remove debris from soil while also leveling it out. To rake leaves, you can use a more lightweight leaf rake that you can find in a bamboo like material or even plastic. There are many options when it comes to lawn care equipment, just find which one will work best for your lawn. One of the most needed lawn care equipment is a shovel. You don’t want to just own one shovel, but you will want to have a few different types on hand because they all have different purposes. A shovel with a round point is to be used when you want to remove large qualities of material like sand and soil. A D handled shovel is best to break up dirt, then follow-up using a long handled shovel to dig the dirt. When it comes to gardens, smaller versions of lawn care equipment work best. A trowel, which is a hand tool with a pointed small shovel on the end of a metal handle, is perfect for scooping. The trowel will help break up dirt in your garden easily and help dig small holes for planting. A weeder is a short shovel with a forked steel head and helps get rid of weeds easily. A blower isn’t as necessary in Arizona as it may be in other parts of the country, but it isn’t a bad tool to keep on hand. If you have a lot of grass and want to mow your own lawn, then there are several different types and sizes of lawn mowers. Depending on the size of your yard and how often you need to mow it, it is sometimes makes more sense to hire professionals like BV Lawn Care to do the work. 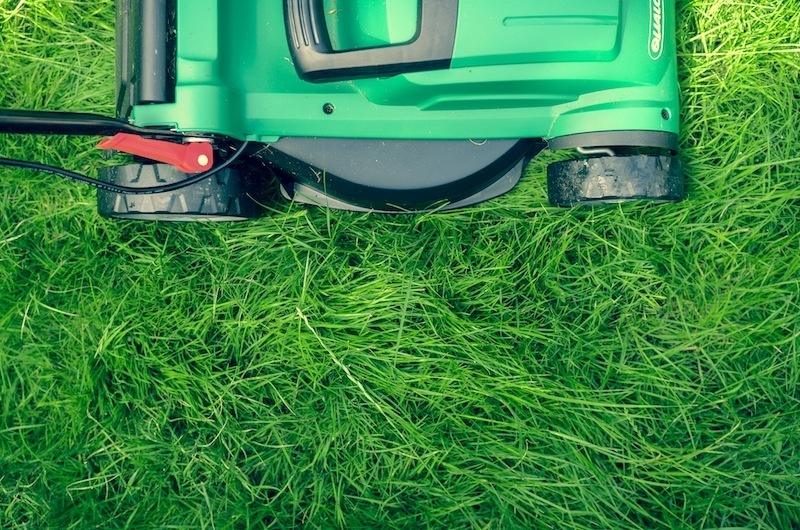 When it comes to lawn care equipment, there are a lot of options, but don’t get overwhelmed. You just need to evaluate your landscape and choose the best tools for your yard. Helpful Tip: A trowel is the perfect tool to use when dealing with potted plants! Succulent plants, specifically cactus and agaves, are a great addition to any Arizona landscape. These decorative plants tend to thrive in the valley because they can handle the high temps and don’t require a lot of rain. Plus, their striking features add a tropical look to the desert landscape. A succulent plant by definition is a plant that stores water in the stems, roots and leaves. It stems from the Latin word “sucus” meaning juice or sap. Succulent plants come in a variety of styles and in a number of different shapes, sizes, colors and textures. The most popular succulents found in Arizona are cactus. They are known to survive the extreme heat without needing much water. Most succulents love the sun, but it is still smart to try to plant them in an area where they do get some shade and not always getting direct sunlight. Succulents usually stay green all year round and some even have bright colors, which make them a great addition to your lawn to mix in with other plants and trees. One of the best things about succulent plants is that they are easy to care for. You can put them pretty much anywhere, like on your patio or even around the pool. All you really need to have a thriving succulent is to use soil with good drainage. If for some reason your soil seems to be too dry, try mixing in potting soil to help retain water. If Arizona is seeing extremely dry weather, try to water succulents once a week and wait for the soil the to be completely dry before watering it. This will help prevent any overwatering. With a lot of plants, there are some safety issues when it comes to those beautiful succulents. Many of them have spikes and thorns and they can cause some painful injuries. Try not to put these plants in areas where you will see a lot of traffic or where they can get in the pool easily. Be careful when dealing with the sap as well because it could cause a rash and is toxic if ingested. 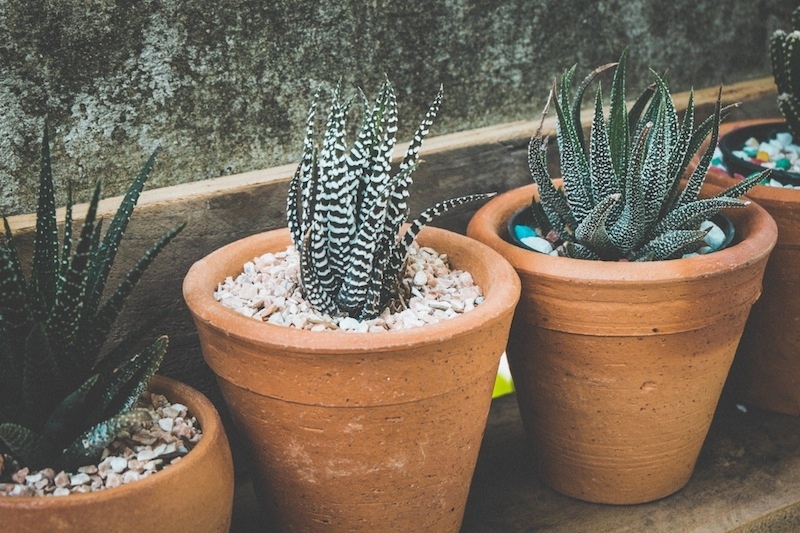 There are a variety of succulent plants to choose from and since they are so easy to care for, you might want to add quite a few of these plants around your yard! Helpful Tip: We don’t see cold of temperatures often in the valley, but when we do, cover your succulent because they don’t do well with frost! Living in beautiful Arizona, you may think there isn’t much to do with your landscape to prepare for fall. But fall is actually the best time to plant trees, flowers and vegetables and also a great time to do some lawn care. The months of September and October are the ideal times to work on your yard and do some planting and gardening. Especially for Arizona residents, the ground isn’t frozen yet, so the soil is easy to work with. Plus, by the time spring comes around, all of the hard work is already started! September is when you want to decide if you want to overseed your grass for winter so that you can start preparing. If not, then use a high nitrogen fertilizer to help keep your grass looking green longer. You want to wait until the end of September to start your garden because that is when it really cools down, especially at night. The best vegetables to plant during this time of year are broccoli, spinach, carrots, peas and lettuce. The vegetables will have plenty of time to be ready for all of your holiday festivities. If it starts to get really cold out you, you can use floating row covers to provide extra heat and prevent frost. October is when you want to sow winter grass if that is what you are choosing to do with your landscape. If not, then continue to use fertilizer. If you are unsure, you can always call the professionals at BV Lawn Care. The month of October is also the perfect month to plant those citrus trees because it is still warm enough for the roots to grow. Just make sure to always remember to keep the trees hydrated. If we do see some colder temperature and winds, make sure to keep an eye on them and water the trees more if needed because these conditions can easily dehydrate them. You might want to wait until November to plant wild flowers. It depends on how warm the temperatures will be in October. Cooler temperatures will help flowers like tulips, daffodils and iris thrive. Landscaping is always more enjoyable when the weather is beautiful. Arizona usually sees amazing weather at the end of September and during the months of October and November. Make sure to take advantage of this time and do some planting and gardening! Helpful Tip: Clean up your yard and add some pretty fall decorations. From pumpkins to a handful of different Halloween decorations, there are plenty of looks to choose from. Sometimes having fun decorations is all the motivation you need to keep your yard clean and looking good. Maintaining your lawn can be a lot of work, so it is nice to hire a lawn care company that can do it for you. But there are a few factors to consider before just hiring any lawn care company. First, you need to decide what you want for services and how much you are willing to spend. Most common services include fertilizing, tree trimming, mowing and other landscape maintenance. Don’t be afraid to ask questions things like what type of products and tools do they use, do they routinely spray for pests and what their philosophy is on lawn care. 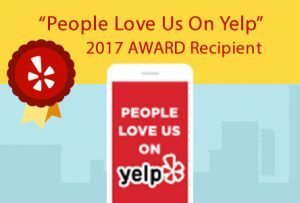 One of the most important factors when it comes to hiring a lawn care company is their reputation. You always want to do your own research on the company, but start by reading reviews or asking for referrals. It is helpful to check out the company’s website to make sure they are credible and trustworthy. When it comes to research, you want to look for things like how long they have been in business, reviews on the internet and also any testimonials they may have posted on their website. It is also crucial that the company you hire is licensed and insured. Start by asking if they can provide a free estimate. But make sure they are actually going to come out to your yard to take a look so that you can get an accurate estimate. Plus, this says a lot about the lawn care company. You don’t want to use a company that won’t take the time to come out and evaluate your lawn. Since you are paying for a service, you want to make sure that you are getting what you want. It is important that you can communicate easily with your landscapers. BV Lawn Care offers the best in customer service with an efficient and friendly staff that can take care of all your lawn care needs. Lawn care companies are not all the same and we are not all looking for the same kind of yard maintenance. That is why you should always do your own research and take into consideration what you want and what you need from a lawn care company. Helpful Tip: Don’t be afraid to ask neighbors and friends whom they recommend. Referrals are always great; just remember to do your own research also since you might be looking for something a little different for your lawn care! When you own a dog, you may think it is impossible to maintain an attractive lawn, but you can still have a safe yard for fido without comprising the beauty of it. Your ultimate goal for the perfect dogscape is to create a safe, yet fun environment for your pet, while still having an attractive lawn full of plants and trees. First, make sure to design your lawn around the needs of your pup. Keep in mind that they need lots of space to exercise and romp. You will want this space to be a safe area for your pet to prevent any injuries. If you do want to have trees in this area, just make sure they are sturdy and safe. You should also designate a certain area for your pet to potty. Flagstone, pea gavel, grass or even bricks make clean up easy. Plus, these things are safe on the paws and make a nice addition to any yard. A very important part of a pet safety yard is what you put on the ground. You want to make sure it is gentle on your pet’s paws so use things like smooth flagstones, pebbles or even small cedar chips. These chips are really easy on the paws and they won’t get stuck in their fur. It is also great to use for easy potty clean up. If you want to have a garden or flowerbed, just build a border around it and train your pet to keep out. It is also a good idea to use raised flowerbeds so it is more difficult for your pet to access. And always use temporary fencing around new areas. Once your pet is trained to avoid these areas, you won’t have to worry about them destroying it! Dogs like to have fun and relax in the sun, but they still want an area they can go to that is shaded. They usually prefer their own space, so a doghouse is always nice to have or even just an area with a dog bed just for them on the patio. The most important part of a dogscape is that you have plants and trees that are safe for your pet. But you have to think about other things than just poisonous plants and trees. Thorny and spiny plants aren’t the best options because they can stick to the coat easily and can get stuck in the paws, which is very painful for your dog. They can also cause injury to the eye if they get poked with it. Foxtail grasses are another threat to the eye and even the ear. They can work there way into the ear, which causes a lot of pain and requires a trip to the vet. They can also get stuck in the paw and they could cause damage if inhaled. Plants like the bamboo palm, the magnolia bush and most weeds can be very toxic. Our pets are our family and we want to be able to share our yard with them safely. With these helpful tips, you will be able to have a safe yard for your pet and still be able to enjoy the beauty of it. 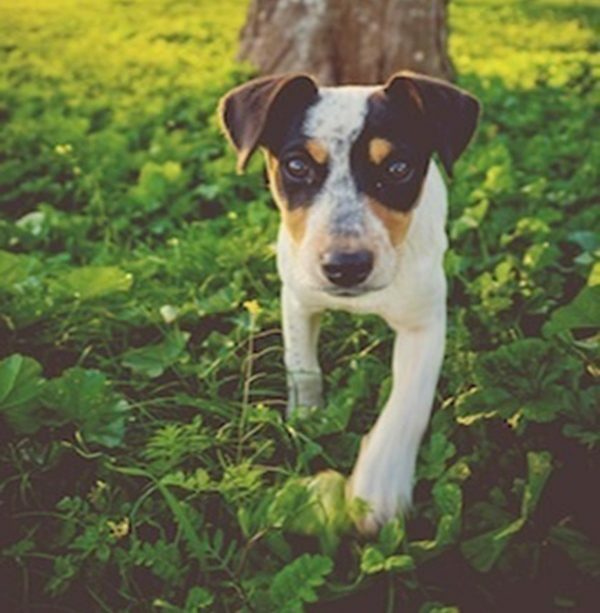 Helpful Tip: For more information on plants and trees that could be a threat to your dog, visit http://www.aspca.org/pet-care/animal-poison-control/toxic-and-non-toxic-plants. Whether you are revamping your yard or designing a new yard, there are many things you can do to spruce up your property. 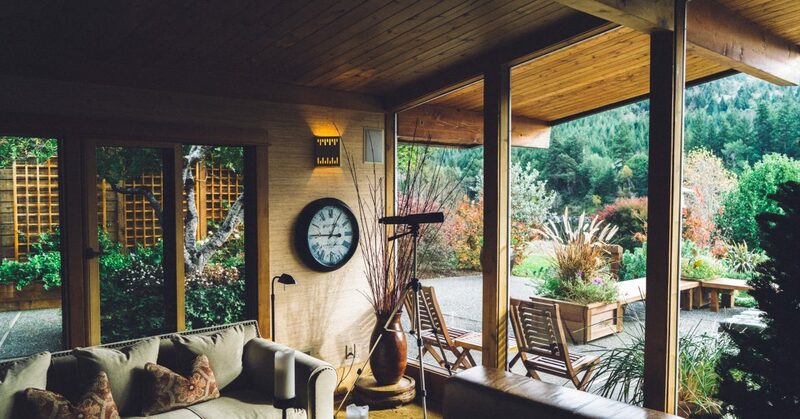 Even the smallest change can help you get even more enjoyment out of your surroundings. Of course it is always a good idea to use a lawn care service and to also maintain your yard throughout the year. In Arizona, we are lucky enough to get some great weather year round, which allows us to spend more time outside. You will be able to relax more and enjoy your yard more if you keep it maintained and tidy. Besides hiring a residential lawn care company, you will also want to start a list of what you want your yard to be like. When you have a plan in place, you will be able to execute it better. You want to have a good idea of what you want from your yard and so that you can plan where things go. For example, do you want space for the kids to play around? Or do you want a nice patio or a special water feature? Planning ahead will make the process easier and less stressful. You will also want to think about the weather. The sun and wind hit at different spots during different times of the day. Try to notice the weather pattern in your yard and avoid putting things directly in the sun or in the path of winds. If you tend to always have the sun hitting a certain area of your patio, maybe add some shade so that you will be able to enjoy your yard at all times of the day. It is nice to have a focal point that you can build and decorate your yard around. A water feature is perfect for Arizona, but you can also have a nice big tree or bush or even a statue. The main focal point will help draw the eye to the landscape. You can have fun with adding things to the surrounding area, just remember to not make it too cluttered. There is such a thing as too much. Also think about details, like the variations in sizes, shapes and colors. This is your yard; so you can design and decorate it how you want! Try using tall plants against a wall or even adding vines to add to the backdrop of a flowerbed. You can also add some subtle and seasonal décor throughout the year to add some change. No matter what you decide to do with your yard, make sure you are having fun and being safe when making changes. And of course always remember to maintain your yard so that you will get the most enjoyment out of your surroundings all year long. Helpful Tip: Patience is key. Take your time and never overdo it. You want to create something that is enjoyable, but you also want to have fun and actually enjoy the process. It is best to start small so that you don’t get overwhelmed or try to tackle too many things at once. Start sensible with a small flowerbed or even just a few veggies in the garden. You can always add to it! It may come as a surprise to some that the Phoenix area is home to some beautiful lawns. Quite a bit of work is required to maintain a well-kept lawn in the desert, especially since we have summer lawns and winter lawns. Winter is just around the corner and it is the opportune time to prepare your rye grass for the upcoming months. 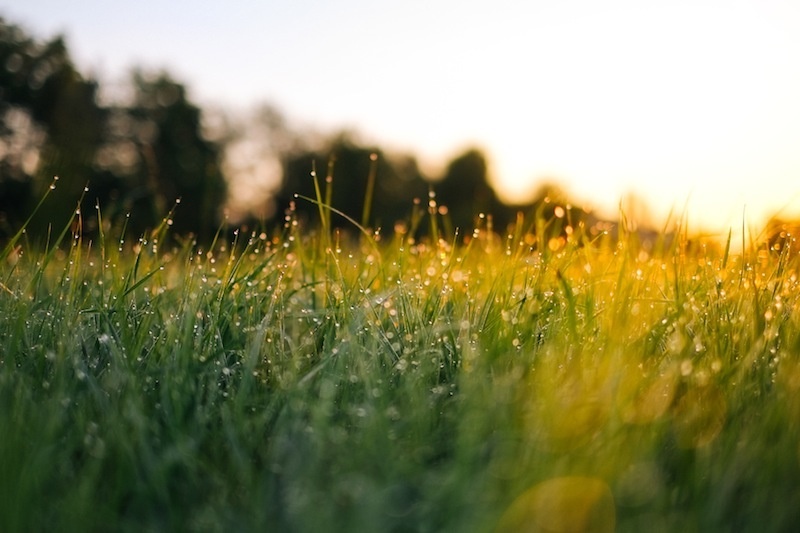 Since the summer climate and winter climate differ so much in the desert, lawns see different types of grass throughout the year. Bermuda grass is popular in the summer because it can handle the harsh temperatures of the Valley of the sun. To help keep your Bermuda grass green through the whole summer, it is important to have rye grass during the cold season. When the temperatures start to fall to 60 degrees or below at night, usually in October, is the best time to start planting your rye grass for the season. You want to make room for the rye grass, so you must cut back and thin the Bermuda grass. Planting rye grass is known as overseeding because you are planting the rye seed over the Bermuda grass. Rye grass usually starts drying out in April or May, when we start seeing triple digit temperatures. Around this time, stop watering the rye grass for a couple of weeks to help it dry out. To awaken the Bermuda grass for the summer, start to water again after the rye grass has dried out. It does take a lot of effort to have rye grass, which is why everyone doesn’t have it. It isn’t really difficult, just time consuming and it does require a lot of water. But if you want to have the best grass all year long, you need to take care of your Bermuda grass in the summer and your rye grass in the winter. Helpful Tip: Beware of overseeding when on the golf course. Overseeding can cause choppy courses and that is never fun when playing a round of golf. Most courses alert the public on when they plant to start the overseeding process. Check with your golf course before heading out.